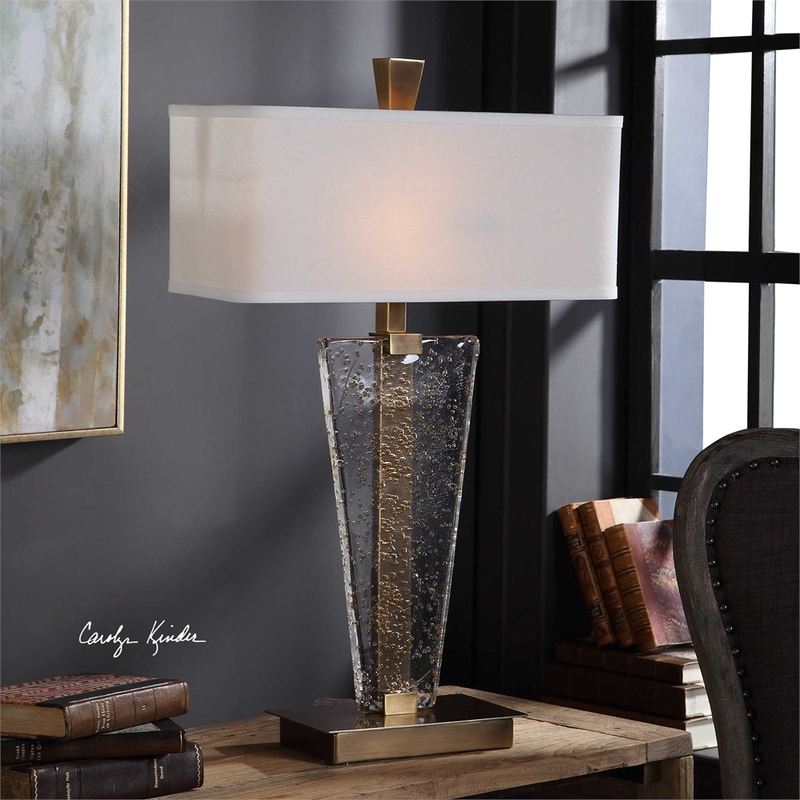 Modern elegance is added to a space with our unique Kemper Art Glass table lamp design. The thick geometric art glass is infused with gold leaf accents, paired and displayed on an iron stand finished in plated antique brass. Designed by Carolyn Kinder International, this lamp is completed with a white linen rectangular hardback shade with light slubbing and rounded corners.